When do the 8 day tours take place? What airport do I need to fly into? What level of hotel do you offer? Where does the group go? What is the basic agenda? Which clubs do we visit? What’s the cost per day? Can I pay cash when I arrive? What level of Guide do I get? When do 8 Day tours take place? When’s the next 8 Day Tour? 8 Day Tour Note: ‘A’ is the first day shown as a Yellow box and ‘B’ is the last day. (You always depart the day after the last full tour day). Once at the Frankfurt International Airport (FRA, see map above), it’s a short 10 minute walk (within the airport) to our meeting location. What level of hotels do you offer? We use a name brand hotel, Basic Star level, modern, clean, secure, Free Wifi, TV, private room with private toilet and shower. Remember, you won’t spend much time at the hotel. We depart each morning around 10am and return to the hotel each night around 12:00 midnight. This is a club tour, not a vacation around the pool at the hotel. More Details about hotel level HERE. visiting an additional club should the majority of guests wish to do so. Due to security reasons and company policy we do NOT provide the names and locations of the clubs our groups visit UNLESS you’re fully booked and paid on that tour. We take pride in offering our guests total privacy and safety. It makes no sense to provide the group’s location to strangers or unknown individuals. Should you wish to explore or know where various clubs are, visit our Ultimate FKK Club List. 1. Airport Pick up 11am and return 10am This is a group tour, which means all members meet and are picked up at the same time and returned at the same time. Should you not be able to arrive on time we offer later pick up or return (if available, for a 50 euro fee). Each day at approximately 10am the group will depart the hotel to a club; each evening at approximately 12:00 midnight the group will depart the club back to the hotel. (We travel as a group). 3. Hotel accomodations for 6 nights We stay at a modern, safe and clean major chain hotel, free wifi, flat screen TV, private shower and bath. 4. Experienced driver, guide and host Explains rules, rates, culture, tips and history of the clubs and staff, as well as local sight seeing and attractions (not the main goal of your trip). 5. 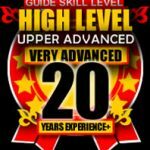 20 year + database of history of staff, talent and knowledge base designed to direct you to best options and experiences. 6. Group Commradery It’s always more fun with a group; they’ll speak your language, share experiences and insights. Similar, high level professional guests. We accept all major credit cards, paid via a secure server Payment request Page. Can I pay cash when I arrive? Sorry, no. We only accept cash for our Hourly Day Tours. If you have additional questions that are not answered above, please see our COMMON QUESTIONS AND ANSWERS section before contacting us.